Are you a breakfast person? Yeah, neither am I. The thing is, I feel so much better when I get a healthy breakfast in. So, morning smoothies are my go-to. They&apos;re easy to throw together and don&apos;t overwhelm me the way a plate of bacon and eggs do. I mean, don&apos;t get me wrong. I LOVE a good brunch. I will definitely tuck into that plate of bacon and eggs later in the day, but when I&apos;m up at 6am getting the kids ready for school, a smoothie s about all I can handle. Luckily there is no shortage of tasty morning smoothies out there. 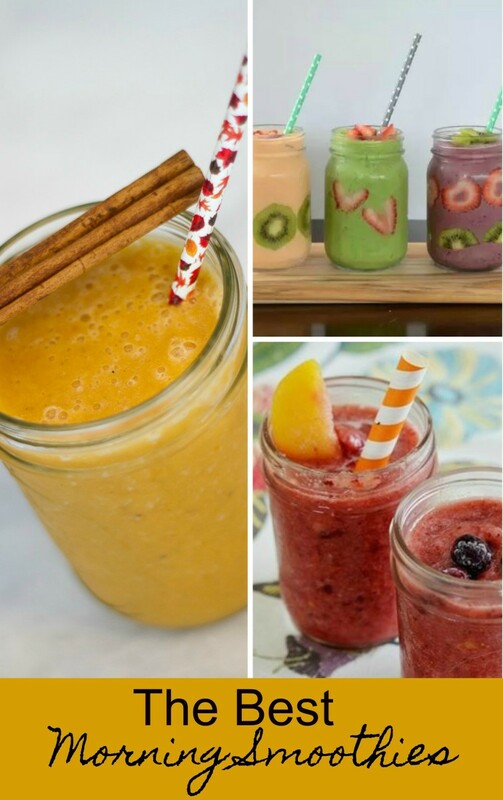 And since I know I&apos;m not the only busy mama out there who struggles with getting herself breakfast in the morning, I thought I would share a few of my favorite morning smoothies with you. Because we all know, we&apos;re going to take care of our kids and make sure they&apos;re fed, but we can&apos;t forget to focus on ourselves too! 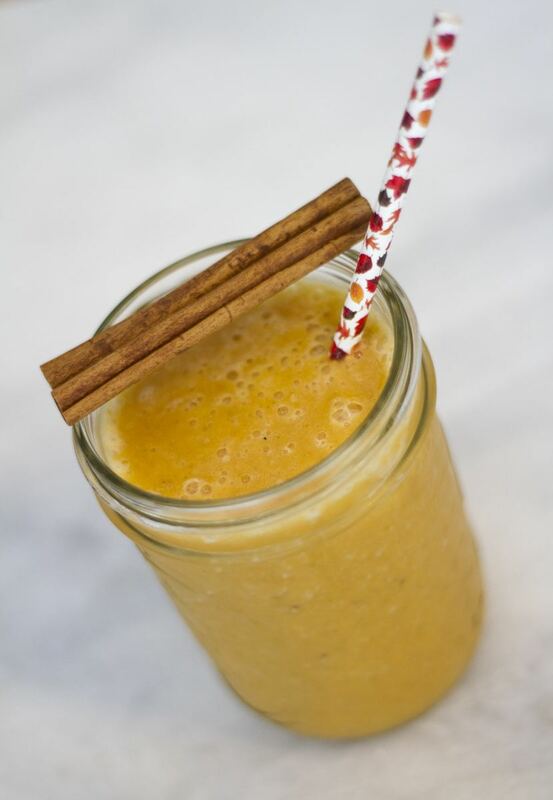 Pumpkin Smoothie...Can you think of a better fall smoothie than a pumpkin smoothie? 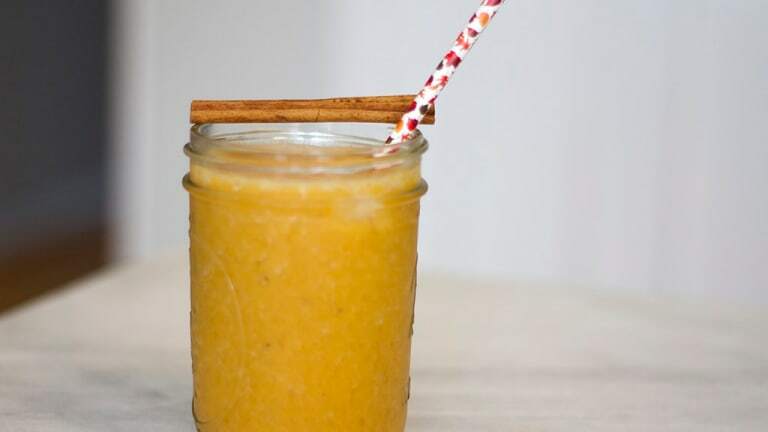 If you&apos;re the kinda girl who anxiously awaits the Pumpkin Spice Latte&apos;s arrival, you&apos;re going to love this smoothie. And as tasty as it is, it&apos;s not loaded with sugar. It&apos;s so tasty in fact, our kids are fans too. When you can serve up a smoothie that the whole family is into, I&apos;d call that a win! Sunrise Smoothie...Another fan favorite is this sunrise smoothie. Carrot juice lends another fall flavor and quick oats make this particular smoothie super filling. If I want to get my workout in after I drop the kids off at school, I have to fill my belly with something that will stick, yet not be too heavy. This smoothie fits the bill perfectly! As morning smoothies go, you can&apos;t go wrong with this one! Essential Oils Smoothie...Essential oils are all the rage these days, aren&apos;t they? If you&apos;re still a bit skeptical about them, I get it. I was too. But I have to say, that I have found them to be very useful for when I need to relax, or on the other side of the coin, need a burst of energy. So, why not throw some into a smoothie? Essential oil flavors like lemon, lavender and grapefruit all taste good and could give you some great benefits to start your day off right! Now that you&apos;ve seen a few of my favorite morning smoothies, check out our tips for how to have a happier school year. Because when the kiddos are happy, their mamas are happy! We were not paid for this post.